This product is for indoor use. 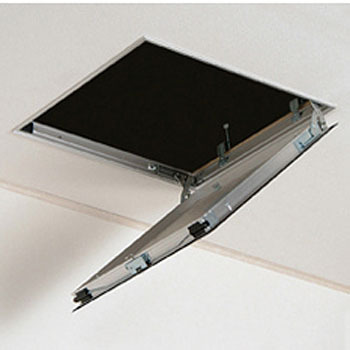 It can not be used in ceiling material of heavy goods., This product is manufactured in Japanese standards. Please check the specification before you order. Although it is an airtight type, its installation is the same as a general-purpose inspection port and easy to use. This review is about item#5623914.